Three rare leafy seadragons have been saved thanks to the inventive work of a Florida Aquarium Veterinarian. Dr. Ari Fustukjian handcrafted special prosthetic devices to keep three leafy seadragons alive after realizing the animals had swim bladder problems. 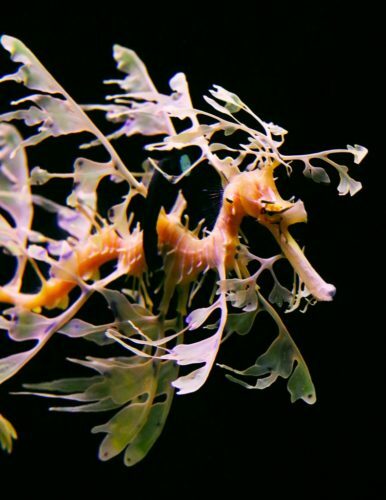 The leafy seadragons arrived at The Florida Aquarium from southern Australia in April. As they grew, they were having trouble with buoyancy or staying upright. The swim bladders in these delicate sea animals were not normal. The developmental issue forces them to swim constantly to stay off the bottom of the habitat, and eventually, leafy seadragons with this condition can exhaust themselves to death. Dr. Fustukjian used pieces of neoprene from a wet suit to individually fit each leafy seadragon with their own Buoyancy Control Device, which acts as a prosthetic swim bladder and helps them hover in the water without exerting effort. “Being able to put a on new device and immediately see them return to a normal posture, and even eat, is very rewarding,” he said. Dr. Fustukjian has now handcrafted up to 12 of these devices over the last few months to help the growing marine creatures. The leafy seadragons can now be safely returned this week to their habitat inside The Florida Aquarium to educate guests. Working hands-on with a species like this is unusual, since they’re very fragile and only a few dozen exist in aquariums across the United States. 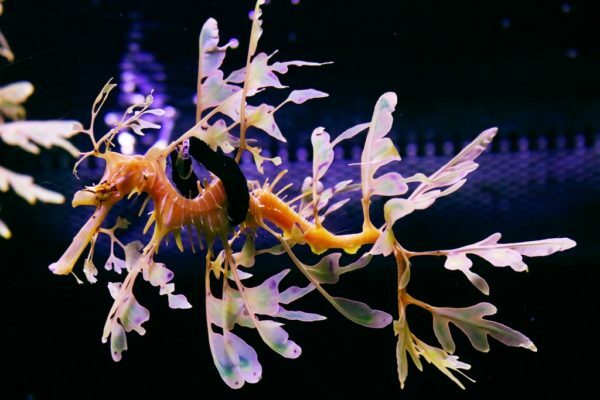 Close relatives of the seahorse, leafy seadragons are listed in South Australia as a “Totally Protected Species,” which means they may be an endangered species in the future.